We are shopping for living room furniture. We can not for the life of us decide what we want, or find what we want. Couch & two chairs or couch & love seat? Matching couch & chairs or mix it up? Spend a small fortune and get no new furniture for like---ever. Or get something decent priced and buy fancy stuff later down the road? Leather seems to be the front runner. It's most durable, wears best, and prettiest. It also fits best with the style of our home. But I can be convinced to buy microfiber especially if it is the really pretty stuff that actually looks like worn leather. That stuff I like. Nailhead is in the mix on every option we've agreed on. So nailhead is a win. We are looking for BIG furniture. 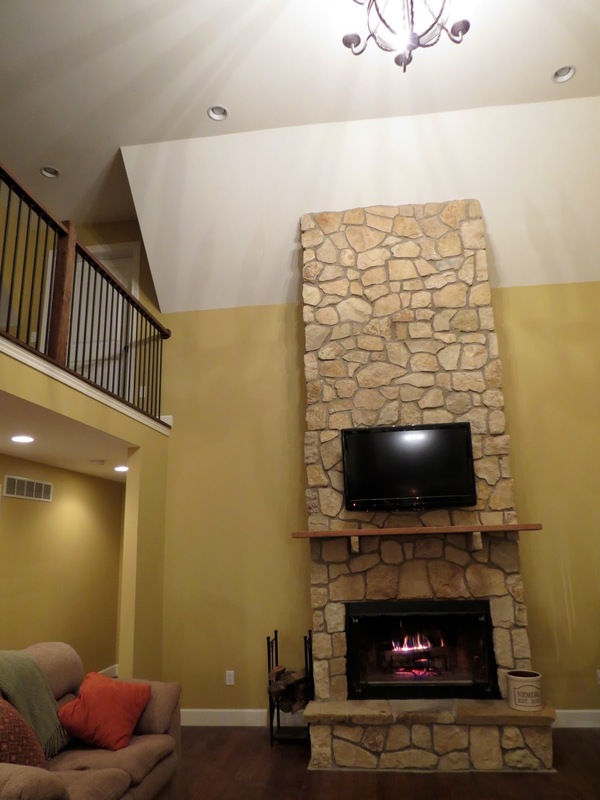 We have lots of space in our living room and a 2 story ceiling, so the room can handle something large and chunky. The price is right. And I would probably mix it up and pair it with two large comfy club chairs. Maybe ever one with a little more fluff to it. But similar in shape, color, and of course nailhead. Maybe some that have a matching ottoman. I like me some ottomans. But at $3,100.00 This is at the top of our price range. And it doesn't come with an ottoman, which I would want. Plus, although it has only wonderful reviews, it would be nice to sit on it before we purchase it! A sit test can make or break living room furniture. This is a photo of the living room from this winter. We have a few more pieces of furniture in there now plus an area rug...I don't have many photos of the living room yet. Mainly because I absolutely hate the current layout and the furniture itself in there now. The desk has since moved upstairs to the loft and been replaced with a different piece from an estate auction. And the lime chair you see in that back corner has been given a facelift. So the living room is very open to the rest of the main living space in the house. It's alsot the first room people really see when the come in the house, and has the main focal point, our beautiful fireplace. And it's where we spend most of our time, apart from the kitchen. I have been to all the local furniture stores, and scoured the internet and we are still undecided. I plan to head north to a larger city this weekend and do some shopping and lots of sit testing. I would love to come home with a purchase or something ordered...but I am not feeling optimistic lately! Any furniture shopping advice for me? Should I stick with a furniture set and be safe or mix it up? Send any other ideas my way! I always like when you can switch it up! Maybe just start with the couch and keep looking? I always find what I'm looking for when I'm not looking! We have a leather couch & microfiber chair. Definitely go with leather. The microfiber shows marks too easily and looks dirty, whereas leather just looks better with age, wear and scuffs. Plus the microfiber doesn't breathe, so my back ends up being really warm and sweaty when it's hot out. My parents have microfiber too, and aren't happy with how much wear and tear its showing after just a few years. I like sets usually, I think it gives you more flexibility with changing accent colors since the matching furniture kind of becomes a neutral. But those light chairs are so pretty! Here to second the no microfibre vote if you have pets or ever have children guests. It is NOT at all what it is cracked up to be and can be a real pain to clean. On the other hand, whole leather will weather + age better (and suit the look/style of your home better IMO) it does scratch, so keep that in mind if Scout is a couch dog. If you keep his nails trimmed & buff your leather on the regular it should t be a problem though. Let me tell you... Andy and I are in the same situation. Although we can't buy anything right now we are starting to look for couches. We are leaning towards the leather as well just because of the dogs & cats. Its easier to clean. I tell you though... it's hard to decide. At least we have a few months to really look. I say switch it up a bit. Mix and match the pieces. Can't wait to see what you decide on! I love microfiber. I have two cats and a dog and its been great. A little labour intensive to clean but if you keep on top of spills/drool then its not so bad. My vote is for leather separates. Leather wears much better and I like the look of individual pieces better than matchy matchy. I would be really leery about buying a couch that I couldn't sit on first, especially in a living room. I'm a big fan of mixing things up! It lends to a comfortable, lived-in feeling. But definitely trust your gut in this situation. Fingers crossed you find some success this weekend! PS-we have microfiber, and love it. It cleans like a dream (friends have spilled beers and food on it), but the type of fabric you go with is such a personal choice. If your gut says leather, do leather!!! I think it's easy to do leather wrong but I like the options you have picked out! Leather by part is the best choice for many reasons! One it's durable and cleans well as others have mentioned for kids, pets and adults! Lol It's difficult to keep micro clean even with the stain protection . I work at ArHaus and beautiful furniture that last a life time. It's a great investment and you do not need to worry about replacing. 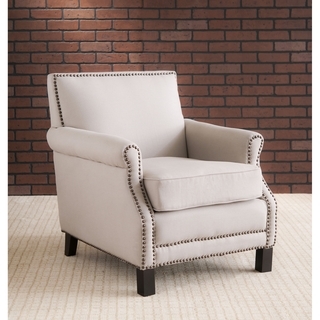 Go online to our website and check out the Hadley sofa chair and ottoman! 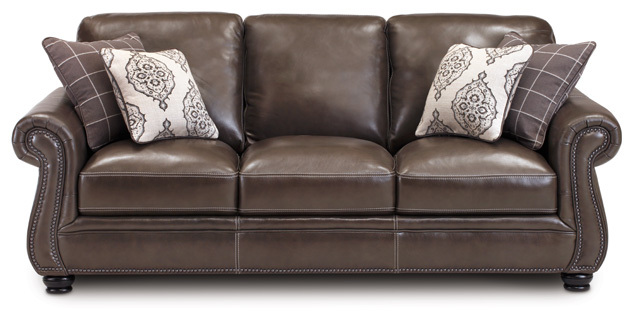 It is stocked in a chocolate leather and extremely comfortable with an awesome spring system. You can bounce on it for hours a d it will never loose it's shape. The leather is also scratch resistance and amazingly soft. You can pair it up with two Hadley chairs or two club styles in the picture. Let me know what you think? And feel free to send me an email for any other questions. By all means, check out all of our furniture . Have fun! Oh man, furniture is tough! I would love to buy a new couch, but we should probably do stuff like the bathroom reno first, haha! I would want to sit on the furniture first, I dont think I could order it without testing it out. I'd also probably mix and match it, I love the first option you picked! I've always done the matchy matchy thing, but I shook it up this go round and have a mixed bag and I LIKE it! Loooove where you're going with the leather - totally agree that it fits your house the best. Mix up your pieces. You will get bored if everything matches. 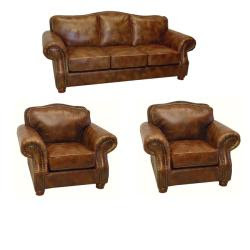 Different chairs with teh leather couch woudl be great. Use a color to tie it all together. Be careful with leather though-- it scratches!! I am new to your blog so I don't know if you have dogs/kids etc. But just be warned! I like the mixed-up look! Anyone can go buy a set, but you have style, and you can make it look amazing! I think leather will look awesome in that room. I have had one microfiber sofa and now one velvet one. Both had the added stain protection and stains have come out with no issues. If you go with fabric like microfiber I say add the extra protection just in case! Your interior is best matched with great home furniture. I just love your home settings. 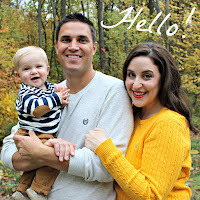 you have posted very interesting blog, I like your blog.. thank you for share nice article..
You guys perform a nice job..